Looking for a budget travel guide to Coron, Palawan? Look no further than this one. Last November, I headed alone to Coron, Palawan. This place is mesmerizing and I fell in love with it. In fact, it’s probably my best travel for this year. To our foreign readers, if you only have a week or somehow a limited schedule in your visit in the Philippines, I suggest going to Coron. Aside from the beautiful sights, another thing I like about Coron is that it’s budget-friendly even for solo travelers like I was. Even though tour rates aren’t standardized compared to El Nido, the prices for accommodation and tours are still reasonable. In fact, if you’re going to ask me, I like Coron way, way better than El Nido although the latter is more popular worldwide. Anyway, here’s our budget-friendly travel guide to Coron, Palawan! Take a local flight to Busuanga Airport. Cebu Pacific offers the cheapest year-round fares. 2Go has weekly trips from Manila to Coron. The port is located in Pier 4 in Tondo, Manila. Travel time is 11 hours, fare is about P1100+ per person depending on which accommodation you’ll get. From the airport, there will be vans waiting that can take you to Coron (P150, 30-40 minutes). If you’re in a group, you can also hire the entire van (P1500). To get around the town proper in Coron, you can simply walk or hail a tricycle. Like every other vacation spots in the Philippines, the best time to go here is during summer where there is guaranteed good weather. However, going during off-peak season has its perks too. You can avoid the huge summer crowd and even get discounted rates. Moreover, even during typhoon season, Palawan is rarely affected with the typhoons so chances are low that you’ll miss going out on tours.. There are so many things to do in Coron! You can island hop, trek, tour around the town or visit nearby attractions. I recommend staying at least 5-7 days to visit all the must-see destinations here. There’s also a tour called Coron Island Ultimate Tour, which covers the best island hopping spots. If you go on a joiner tour, take that note lunch and entrance/miscellaneous fees are already included in the published rates. During island hopping, you can rent a snorkel and pair of aqua shoes for P150 each. If you’re going to be in Coron for a few days, I suggest buying your own snorkel. There are cheap ones for P700-850 and better-fitting snorkels for P1500. Budget tip: Currently, there’s a lot of cheap packages which offer all-in inclusions (accommodations and tours). However, if you’re solo or in two’s, it’s cheaper to get the island hopping tours and accommodations separately. Joiner tours for island hopping start at P750-P1200, and accommodation for solo travelers can be availed at P400-800 per night. Hiring a private boat is recommended if you’re in a group. For private boat tours, you may need to buy your own food in the market for cooking during the tour. The good thing about getting a private boat is you can indicate which islands to visit first, which is useful if you want to escape the crowds. Moreover, you can stop over islands that are not included in the island hopping tours. Tip: Visit Kayangan Lake during lunch time and at sunset, which is when there are the least tourists. Looking where to hire a private boat? Travel agencies also offer boats for private use. Alternately, you can head to one of the ports in Coron and talk to some of the local boatmen. Most of them hire out their boats for P1500-2000, excluding food and entrance fees. There’s a port beside Sea Dive restaurant. 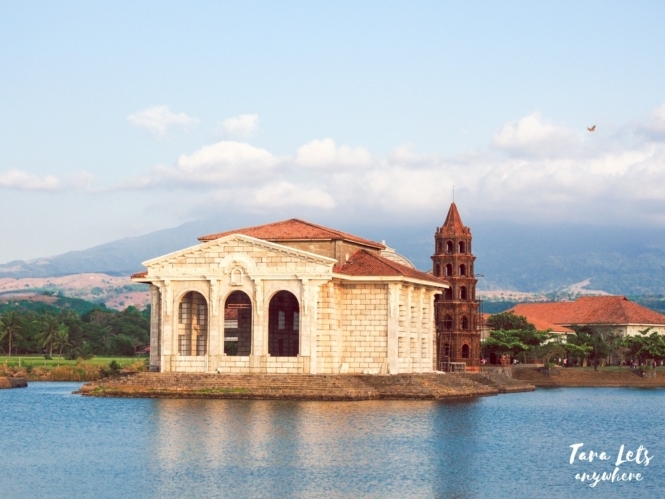 Aside from island hopping, there are tours to nearby attractions that you can avail. The inland tour is actually doable on your own. You only need to commute via tricycle with P10 minimum fare. Town sights include souvenir shops, cashew shops, Coron Baywalk, Mount Tapyas and Maquinit Hot Spring. If you’re going to Maquinit Hot Spring, a private tricycle costs P300 good for 4 people; the driver will wait for you. For island hopping services, I went with JY Travel and Tours. Kuya Henerson is hands down the best tour guide here. There seems to be a misconception that food is expensive in Coron. This isn’t true. There are the usual carienderia in Coron where you can buy meals for P60-100. I recommend La Sirenetta which has good ambiance and food. There’s actually a lot of budget accommodations in Coron, and these are just a few of them. I stayed in Seahorse Guesthouse, which offers dormitory-type rooms with 2 double-decked beds, good for 4 people. I was with my Chinese roommate Xiao, whom I’ve first met on tour. Staying in the dormitory room wasn’t awkward at all, and even though it wasn’t spacious it was comfortable. There are other lodgings with the same price, but at least this one was airconditioned with hot/cold shower. There’s a thick comforter for the night and a locker for securing items. Breakfast is free on the fourth floor, which also has a nice view of the town and the sea. I also love the playlist in the mornings, some feel-good jazz or indie songs. Plus, the Seahorse Guesthouse is at the heart of Coron town — it’s about a 5-10 minute walk to the port and market and surrounded with souvenir shops. Didn’t see what you’re looking? Check out other accommodations in Coron here. 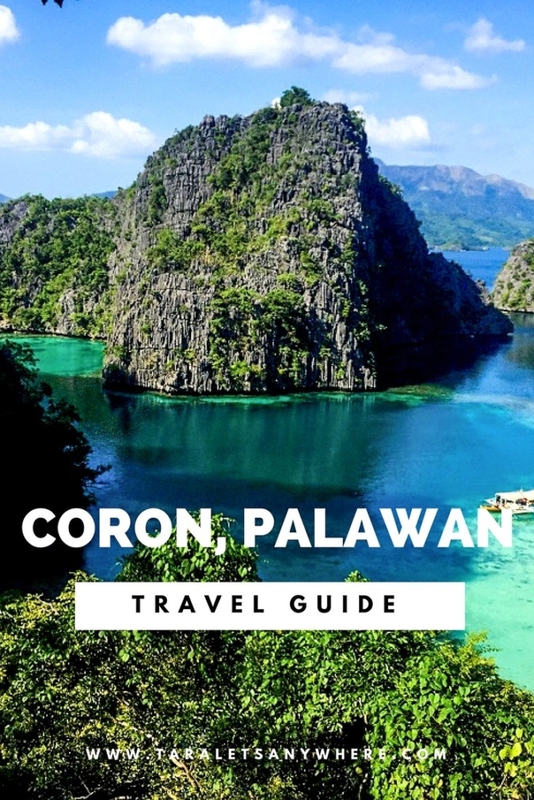 Here’s a 5 day itinerary to Coron, Palawan. Take it as a rough guide. 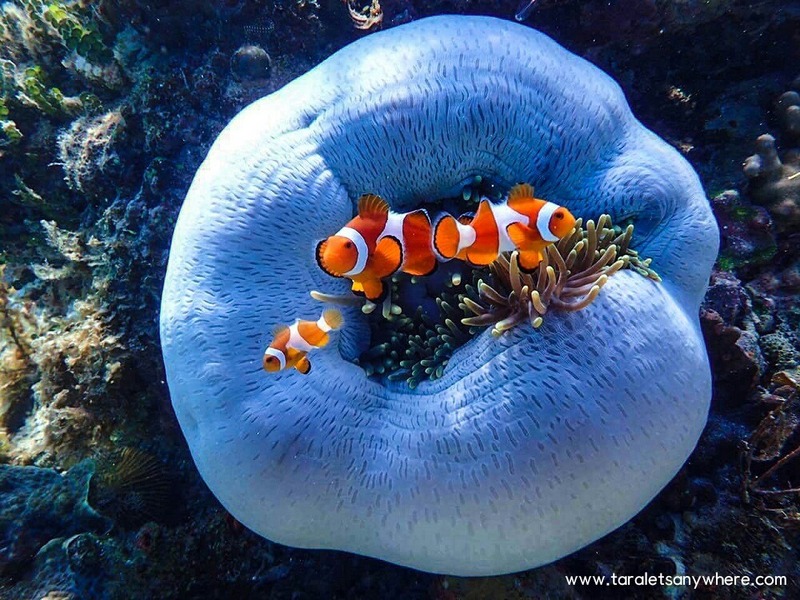 If you only have a few days here, you might want to go for the Coron Island Ultimate Tour and then spend the rest of the days on Calauit Safari or Cuyo Island. If you have a week, you can visit all of these. For the tours, most likely the agency will ask a service to fetch you from your accommodation to the port. Similarly, on the day of your flight back, you can ask your lodging receptionist to schedule a van pickup to the airport. So from the itinerary above, here are my favorite stops:: the viewdeck in Kayangan Lake (which is also the most photographed spot in Coron), Green Lagoon, Twin Lagoon and the Barracuda Lake. 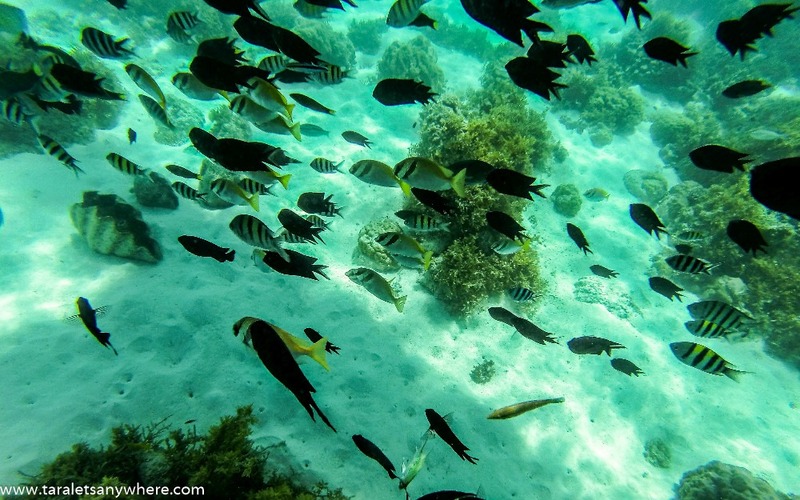 There’s also a lot of snorkeling spots in Coron. Most people overlook CYC Beach because they stay in the shore; try to go a bit far on the beach and snorkel. 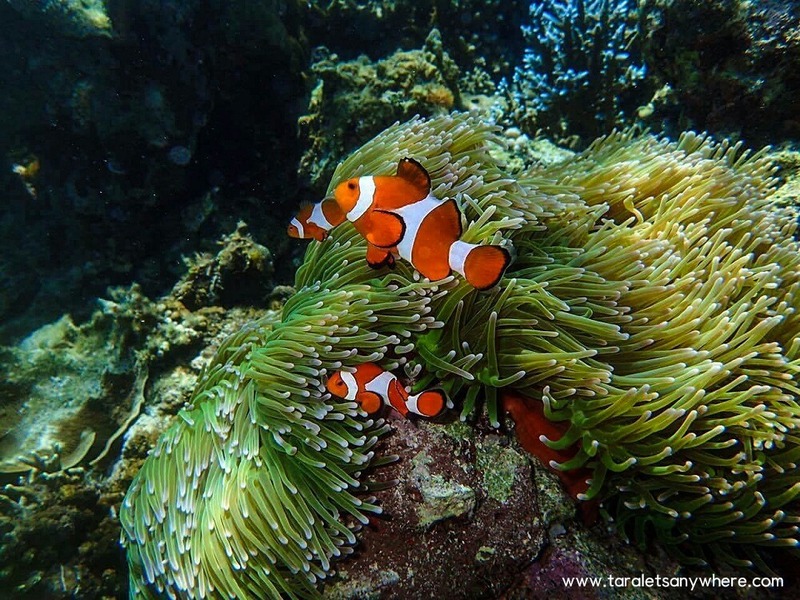 It has one of the best coral and marine life I’ve seen during my stay here. 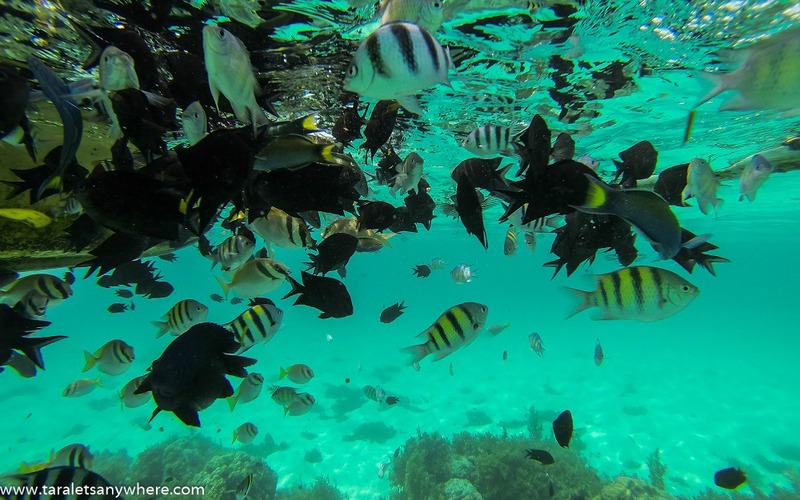 The Reef Garden and Malcapuya Island are also great choices, and you can actually swim with numerous — perhaps hundreds at a time — of fishes. On the other hand, I was looking forward to the Coral Garden, which is different from Reef Garden above. Friends have gushed about it. I was a bit disappointed with it. First, our tour here was rushed. There was no time to stop and admire the corals underneath. Instead, we were dropped off in the ocean and had to continuously paddle to another point where the boat would pick us up. The underwater scenery wasn’t that colorful and I was told there was a lot of damage from a past typhoon. There’s a chance here to see turtles, although at that time I didn’t see any. As a solo traveler, I spent about P8000 for the necessities in my 5-day stay in Coron. 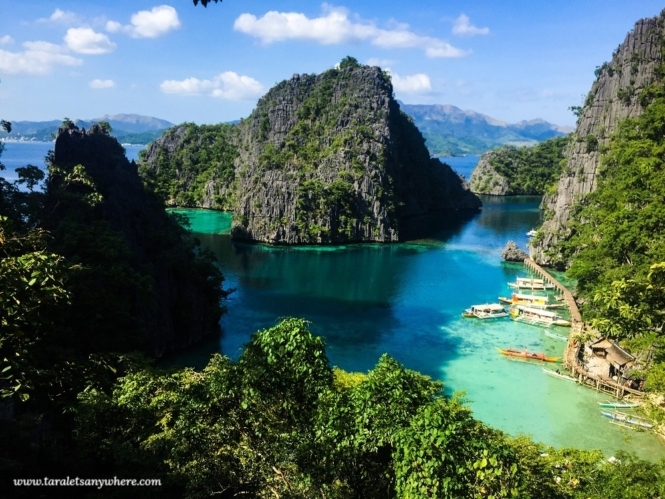 Did you find this budget travel guide to Coron, Palawan, helpful? Any other suggestions to future travelers? Thank you so much i found your blog. Anyway will plano namin pupunta ng Coron sa First week ng January we have six peoples in the group from age 11 years old to 60 years old. Any recommendations From the beginning to the end of our trip? This is our first time. Overall experience to Seahorse Guesthouse? I am considering this hotel for our family vacation in Coron. Hi, the Seahorse Guesthouse has dorm rooms and fit for solo/couple backpackers. You might want to check other resorts if you’re coming with your family. Hi! Sorry if this had been asked, I tried searching past comments! For booking your tours, did you pre-book all of them online or did you wait until you arrived to walk to their booth and then book them? I actually just texted them a day before, if I remember correctly. But this was low season. During high season it’s recommended to pre-book. Is it wise to go in July ?? It’s raining most of the days. Kindly advise !!! Hi! Im really glad i came across this blog, this is helpful, we’ll be in coron on the 31st of October to the 3rd of November and we’re booked at SeaHorseguest house (me,my hubby and our son) i want to know the most practical tour we can get since we’re traveling with our 12y/o kid. Thanks! And can we just book it with seahorse? Hi. I happened to leave a comment in this post some few months ago, and since then i’m receiving notifs that I’m not even involved in. Ummm, how can I unsubcribe po? I need to know po sana. Thanks. Hi Michelle, sorry abt that! Usually there’s an unsubscribe button in email notifications. Let me know if you’re still having problems. Hey, I‘m also heading to Coron as single traveler and I‘d like to do some of the tour packages you have mentioned in your blog. However, I cant find a link or name of the agency that provided exactly these Tour A etc. packages. Can you name it? Many thanks!! We literally allotted a whole subsection for the travel agencies and even gave links for their pages. : )) I got the tours from JY Travel and Tours. I was in Coron just last week, travelled solo as well. Booked my tour from Alherini Travel Services in facebook, and I must say, they are Legit, accomodating and very smooth to transact with. Hope that helps. Hello! Do you know if still perfect to have a vacay during the month of oct. (this year)? I’m not sure if it’s going to be “perfect.” 🙂 June-November is the rainy season so it really depends on the weather, but the good news is Palawan doesn’t really experience strong typhoons. You might still get a lil bit of rain here and there tho. Hi! I’d like to ask for advice on how I can have a worthy vacation to Coron for 3D2N only. I want to travel solo and as much as possible not to join groups. Thank you so much! Then you should hire your own private boat. 🙂 Afaik for packaged tours you’ll still be with other people, so this is probably the best choice. Good day po! Meron po kayong idea if every anong oras bumabyahe ang van sa airport going to coron town proper? We don’t know the timetable for the vans, but take note that Coron is a major attraction in Palawan and so with the influx of passengers, there are always public vans outside the airport. If unsure, you can always contact your resort/accommodation; they are affiliated with those doing airport transfers. Hi Katherine we’re planning to go there with my partner. Is there any boat to rent in the pier area? I want to DIY my travel and i dont want to book tours. Which is more cheaper DIY or TOUR Agency? Yep, you can go to the pier but I’m not sure about the availability during summer. DIY or tour agency — it depends. If there are only 2 of you I’d go for joining a group tour instead. Hi Duke. I recommend Jon for private boat in Coron. You can ask them how much is the rate. This is worth considering if you want to enjoy the place on your own and you can choose which tourists spots you can visit. Though you have to shoulder the entrance fees and you have to buy your own food in the market for cooking later on. For solo or couple travelers it’s more cheaper if you get a tour at local travel agency, you dont need to think about your food and entrance fees since it is included in the package. Hi, I just want to ask. 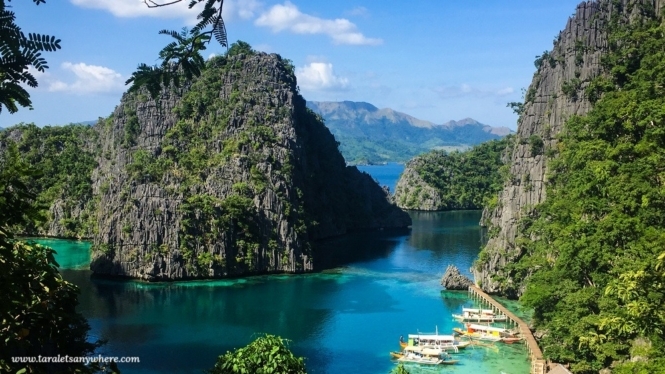 Is solo travelling to Coron safe? I want to assure my mom that it’s safe, or else she won’t allow me to go. And I already have tickets for April. Yes. I’m wondering where your mom got the idea that it might not be safe. Coron is pretty well known even abroad. Hi! I’m visiting Coron on april 30 to may 4 2018, i will traveling alone is it not really that bad? it will be my first solo travel. Will I still be able to enjoy the tours and have an overall great time? Hi! I’m thinking of going to Coron this March, it will be 3D2N. Kayangan Lake, Barracuda Island and Maquinit Hot Spring are the places I want to visit. It would be my first time to travel alone. Just want to ask for help in planning my itinerary or how do I get there without joining tours. You can rent a private boat if you don’t want to join tours. Maquinit hot spring can be reached via tricycle. 🙂 You can visit all those in ome day. Hi! Nice blog, i enjoyed reading it. We will be travelling as a couple on Feb 27 to Mar 3. We plan to rent a private boat instead of joining a group. The cheapest rate provided to me is 3700/pax for the Coron Island Tour. And 4800/pax for the Malcapuya, banana and bulog beaches. Rates included all entrance fees, food, licensed tour guide. Do you think the rate is reasonable? Or i can find better deal once i arrive at Coron? I think the price is reasonable because there are only two of you. You can also try looking for a travel agency/boat owners who’ll agree on a rate per boat (not per person) and see if it’ll be cheaper. Last time I was there boat rental is 2000-2500, entrance fees and lunch not included. Not sure if the rate is the same for the three beaches you mentioned because those are a bit far. Hi! I’m visiting Coron on July 2018, so I’ll be expecting some rain 🙁 Given it rains, is it really that bad? Will I still be able to enjoy the tours and have an overall great time? We love to travel during the rainy season because of fewer crowds, lower rates. 🙂 If it’s just a little bit of rain, you’re still good to go. But if there’s a strong typhoon, tours might get cancelled. In general though, Palawan rarely experiences strong typhoons as in other parts of the PH… so you’d be terribly unlucky to be stuck in one. Good luck! I think since there’s 4 of you it’s better to get a private boat (DIY). 🙂 It’s cheaper overall and you get to do your own itinerary. Hi! Do travel tour agencies allow grouping solo travellers for private tours instead of letting them join with the group tours? This is to allow more flexibility on the itineraries instead of feeling rushed. Yes. 🙂 You can rent a private boat if they offer it (with your own itinerary) or go on a private group tour (following their itinerary). Coron looks lovely. I have not been to the Philippines yet, but it is on my bucketlist! I see you did 4 tours? Would you recommand that? Did you meet loads of people on those tours? Yes and yes. 🙂 I liked the first three tours. I wasn’t impressed with tour D, but I heard it’s a popular choice because of the coral garden. I did meet lots of people because I joined group tours. Hope you decide to visit here! I love solo travel and I’m looking at Coron for next year. Is it possible to request for a budget breakdown of your 5-day stay? 🙂 Thank you so much and i wish you more travels today, onward! I’m going to Coron this November. Isn’t it awkward to go on tour without any friend/s? I’m planning for a solo trip this September. Do you have to book the tour in advance or you can just get book then and there on a cheaper price. Also, I’m going on a weekday, there might be no group tours available. Hi! I’m going to Coron this January and I’m also booked at Seahorse Guesthouse! I just wanted to ask if they provide the guests with free towels? Also, do guests need to bring their own padlock for the locker or do they also provide them? Hi Martin, yes the inn provides towels and a padlock.